Compatible with Visual Composer, Elementor Page Builder, etc. Add Postback to any Affilaite Program & get live sales record. Set your cashback formula for each store and let the system do live calculations. As an Affiliate Marketer, your main task is to market & promote your Coupon Website. And to confidently drive traffic, you need to keep your website up-to-date. 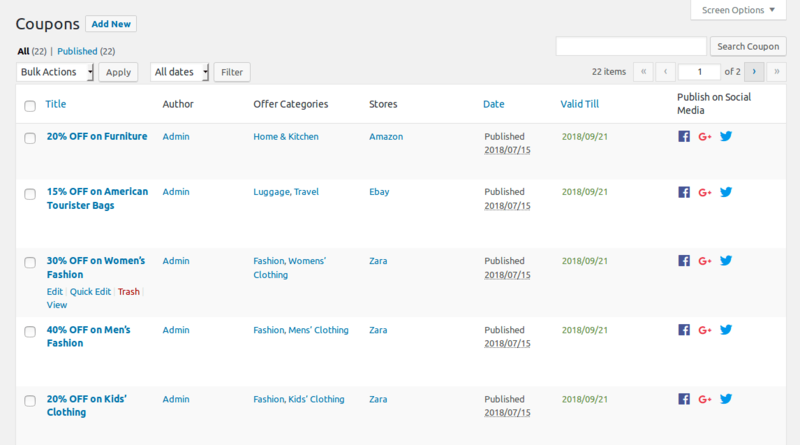 CouponAPI.org collects a Coupons & Deals from popular Affiliate Networks and imports it to your website using their WordPress Plugin. All you need to do is enter Affiliate IDs, and subscribe to add as many stores as you want. You website will be automatically updated on a near-real-time basis from all your Networks. If you are a pro, you will need Coupons & Deals from "All Official Sources", not just Affiliate Networks. For this, we provide pre-integration with LinkMyDeals Coupon Feeds which imports all offers from Store websites, banners, Email Newsletters, SMS/App Notifications, Social Media, networks & other such sources. With more than 70% of traffic coming from mobile devices, Mobile App is now a necessity. With 70+ Design Options and 9 popular Fonts, the possibilities to customize the look & feel of this Coupons Theme are virtually endless. To make it easier for you, we have pre-configured 22 most successful color and font combinations on the internet which you can directly choose for a quick start. Want to distribute coupons for physical stores? Printable Coupons can be redeemed at a store's checkout counter. It prints with a Code-128 Barcode for faster checkout. 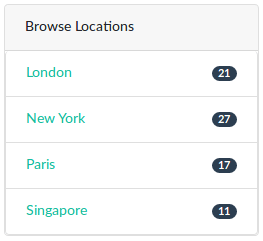 Do you run your website across multiple countries or cities? If yes, you can enable Location taxonomy and classify offers by locations. People trust websites which their friends share. So in today's world, all websites need to be optimized with the latest Social Media Tags, Meta Elements and easy-to-share features. All other coupon themes require external plugins to configure social media tags on your website. And if you are not tech-savvy enough to do these configurations correctly, then you are at the mercy of Facebook and other social media to decide which image/content to use when a page is shared. ClipMyDeals, however, comes with all Meta Tags and Open Graph required for Facebook, Twitter, Google Plus and all popular Social Media portals. 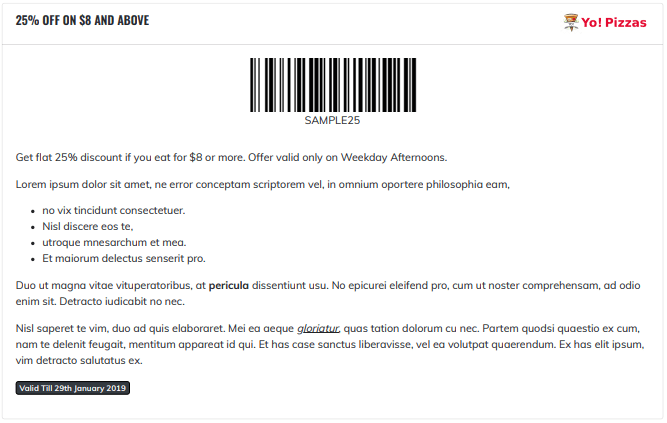 Banners and descriptions get used correctly in shared Coupons and Store pages (instead of random content or images). 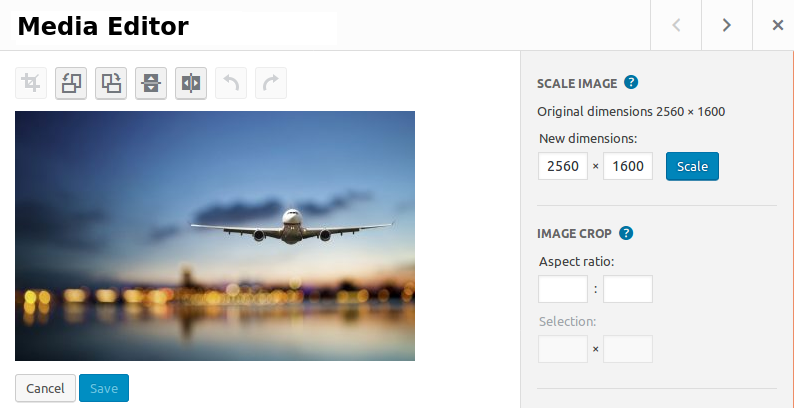 You can even specify your default images and text to use in case of new pages. If you are pro, and would rather like to use your own code/plugin, then you can simply turn off this feature from your WordPress panel. No need to log into each page and share your Coupons. 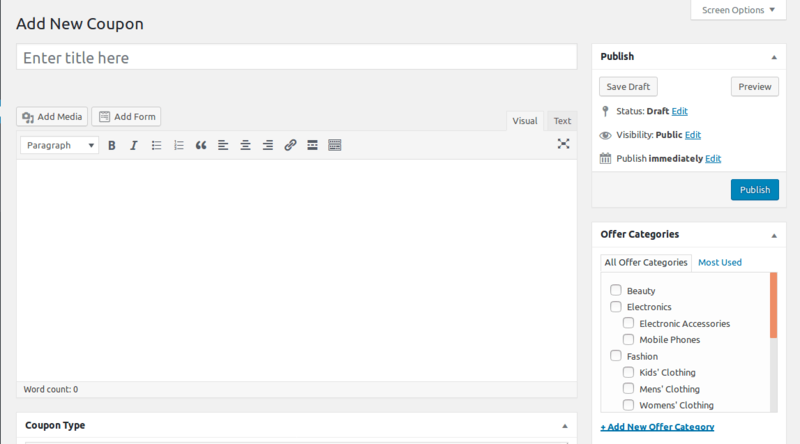 Simply configure your Social Media settings and post your offers to Social Media from your WordPress Admin Area itself. A clean design or a convincing banner can turn an undecided visitor into a confirmed sale. An of course, more sales means more affiliate commissions! 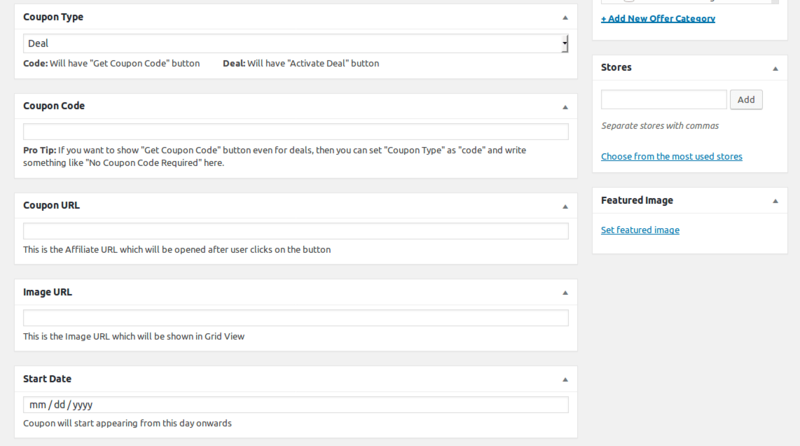 This one feature alone makes ClipMyDeals better than any other WordPress Coupon Theme in terms of increasing affiliate sales. You can match the graphics of each coupon/deal with the usual colors of that store. This gives a uniform experience to your visitors. It makes it easy for your visitors to browse the category & search pages. And also gives a sense of relation to the store itself. Stats have proved over and over that e-commerce shoppers are impulsive buyers. ClipMyDeals Theme has a banner position on each store's page. This not only looks awesome, but they can also increase your conversion rates by 40%. Sidebars are the most effective area on your website to place relevant widgets for your users to interact and to find useful information. 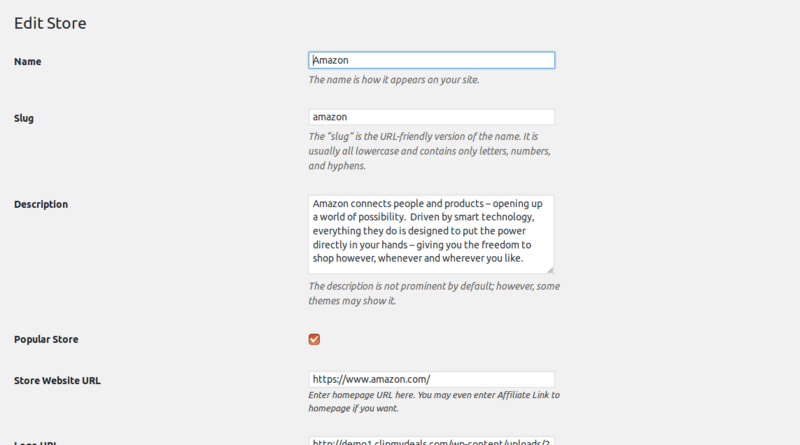 Add Locations or Headquarters to Store Pages. This not only gives additional info to the visitor but also indicates high-quality and detailed content. (Yes, Search Engines love that). Your visitors are more likely to use the coupon or complete the sale after seeing an interesting Ad or a relevant video. Videos also increase your chances of ranking higher in Search Engines. Popular Store Logos helps you retain your traffic for a longer duration by suggesting more stores which they would like/ The more time visitors spend on your website, the better signal it sends to search engines. Category and Store lists are vital navigation links to internal pages of your website that cannot be accommodated in the top menu. Internal Links are one of the top 5 ranking factors in Search Engines. Collect Email addresses of your visitors with plugins of Email Marketing Platforms like MailChimp, etc. Make it easy for your visitors to share your lovely and useful website with their friends and family. Let your visitors turn into loyal fans and followers by placing Facebook, Twitter and other "Like Boxes". User feedback can help you improve and grow. Let them contact you using plugins like Contact Form 7, etc. We are so excited and proud of this Coupon Theme. We would have loved to talk about each and every feature in more details, but it is not possible. So here are a few more that we couldn't talk about. Start Your Coupon Website Today! ClipMyDeals is a 100% WordPress Theme. It comes with plenty of design customization options and all the plug-n-play powers of WordPress. 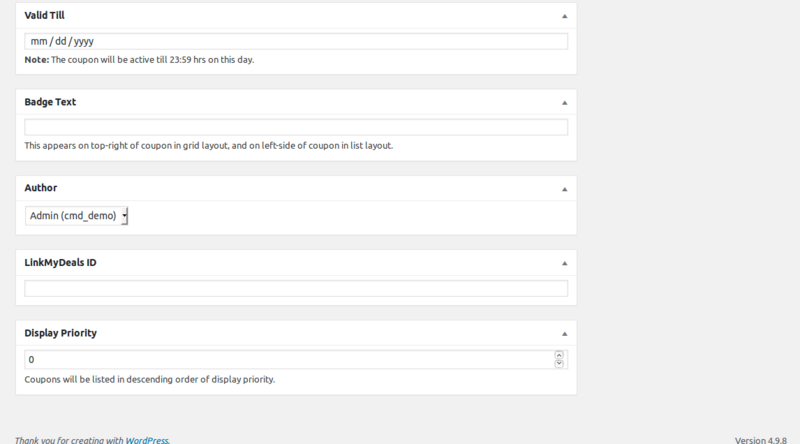 You can literally customize it to the extent that nobody can even recognize which theme you are using. The Admin/User area is completely based on WordPress Standards. So if you are used to WordPress, you feel the same power & and all the ease that comes with it. These guys are awesome! I had been looking to upgrade my website since some time when I came across ClipMyDeals. When I deployed it, something extra-ordinary started to happen. I could see more and more returning visitors in my analytics. I think because my website was now much faster and easier to use. Over a period of 2 months since I have installed this theme on my WordPress site, I have seen a jump of about 15% in my revenues without any effort. I would like to thank ClipMyDeals team for such a wonderful theme. It was very easy to start my Coupon website with the help of ClipMyDeals. I don't think any freelancer could have developed such a stable and easy to use theme for me. 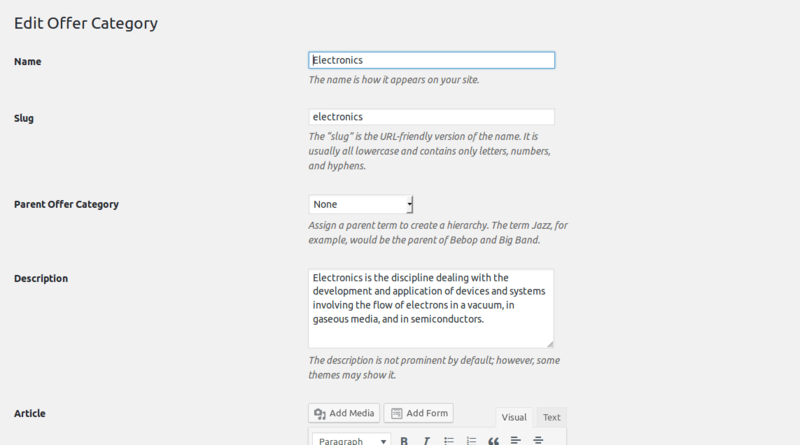 Plus, I am getting all this in WordPress, which I am comfortable with. I am really happy with the support as they respond to tickets very quickly. Wish them all the best, and thank you all once again. 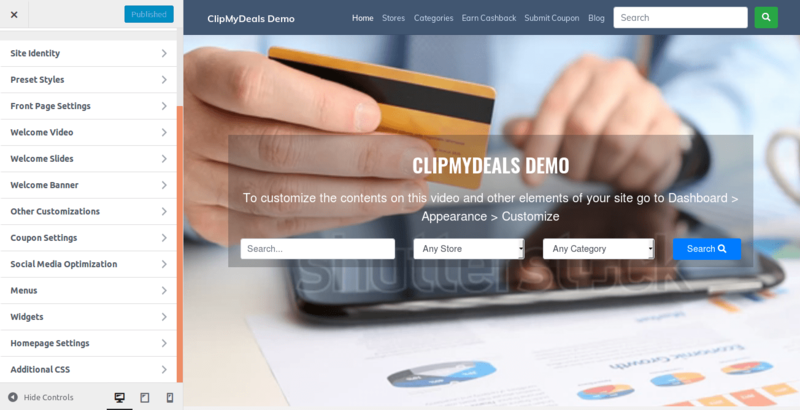 How is ClipMyDeals different than other WordPress Coupon Themes? Before we created ClipMyDeals, all other available themes were created by companies that sell different themes. There was not a single theme that understood the real problems faced by Coupon websites. Every theme had irrelevant features that were not needed, and did not have some of the most basic features required for an affiliate website. ClipMyDeals is the only WordPress Coupon Theme which has been designed & developed by Affiliate Marketing experts. It is based on our real-world experience of running coupon websites since 6+ years. We know what a new coupon website needs and what needs to be done as the traffic increases. And so, we packed all that into ClipMyDeals for you! Once you make the payment, you will receive an email (typically after a few minutes) with your account login credentials. You can use these to log into the ClipMyDeals panel. Once inside the panel, you can download the .zip theme file. ClipMyDeals comes bundled with all features, so there are no dependencies on any third party plugins. You will need to set your installation domain name in the panel, and use the license key to activate the theme. Each license can be used for exactly one domain. Apart from the domain, you can also use it on your local server (localhost) or on your test subdomain. For example, if your primary domain name for the license is "mycouponwebsite.com", then you can also use it on "test.mycouponwebsite.com". Each license comes with lifetime FREE updates, which means you will be notified in your WordPress Updates page whenever we release a new version. You can update the theme directly from there with a single click. ClipMyDeals also comes with lifetime FREE Support. For any issues, you can create a ticket and our Support Team will get back to you on that as soon as possible. Can I make changes to the theme files? How much help can I expect from the support team? As such, ClipMyDeals comes with all necessary features needed to run a coupon website. Other functionalities can be added with the use of WordPress Plugins. If you still need to add something special, then you can create a child theme. We highly recommend you make all front-end changes using Child Themes to ensure your customizations are not lost after during theme updates. If you need help for creating the child theme, you can create a support ticket to ask questions. We will try to guide you as much as possible. However, ClipMyDeals Support Team will not do any manual coding or any other kind of implementation for your project. At the most, we can recommend a freelancer or a company that works on ClipMyDeals customizations. Are there any dependencies on other plugins, scripts, or server configurations? 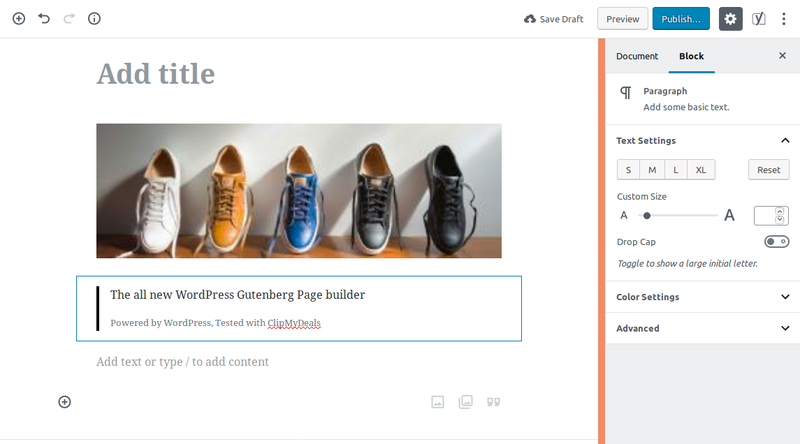 ClipMyDeals is a WordPress Theme, so it will work on any server or host that supports the self-hosted WordPress Platform. This does not cover wordpress.com sites as they are completely different, and we have never tested the theme with it. All features of ClipMyDeals are packed with the theme itself. So it does not depend on any third-party plugins or scripts for the core functionalities. ClipMyDeals however comes pre-integrated with LinkMyDeals for Coupon Feeds. LinkMyDeals needs to connect to their API to download the latest feed. So if you are using LinkMyDeals, you need to set your PHP's allow_url_fopen environment setting to On for it to work correctly. Is this theme compatible with other third-party plugins? Yes, ofcourse! ClipMyDeals is built purely on WordPress standards and has been tested with most other popular WordPress Plugins that are used for Contact Forms, Caching, Newslettter Subscriptions, Social Sharing, SEO, etc. Will ClipMyDeals work with Non-English languages? Yes. ClipMyDeals with completely translation-ready. You can use any popular method or plugin for translations to other languages. It should also work with RTL languages. You need to create a rtl.css file in a child theme if you want to customize the layout for RTL languages. ClipMyDeals has a ticket-based and email support system. Phone or Skype support is not available as such, but may be provided in case of complex queries. If screen-sharing is necessary, you will have to install "AnyDesk" remote sharing software.